The Interim Remedy includes two components: Electrical Resistance Heating (ERH) and In-Situ Chemical Oxidation (ISCO). ERH involves heating the groundwater to mobilize the subsurface contaminants. Vapor from this process is recovered and treated. ERH will be implemented at the 1.2 acre source area under the former facility that contains TCE and petroleum hydrocarbons, referred to as the non-aqueous phase liquid (NAPL) Remediation Area. ISCO involves the injection of chemicals into groundwater to break down the contaminants into harmless by-products like carbon dioxide and water. 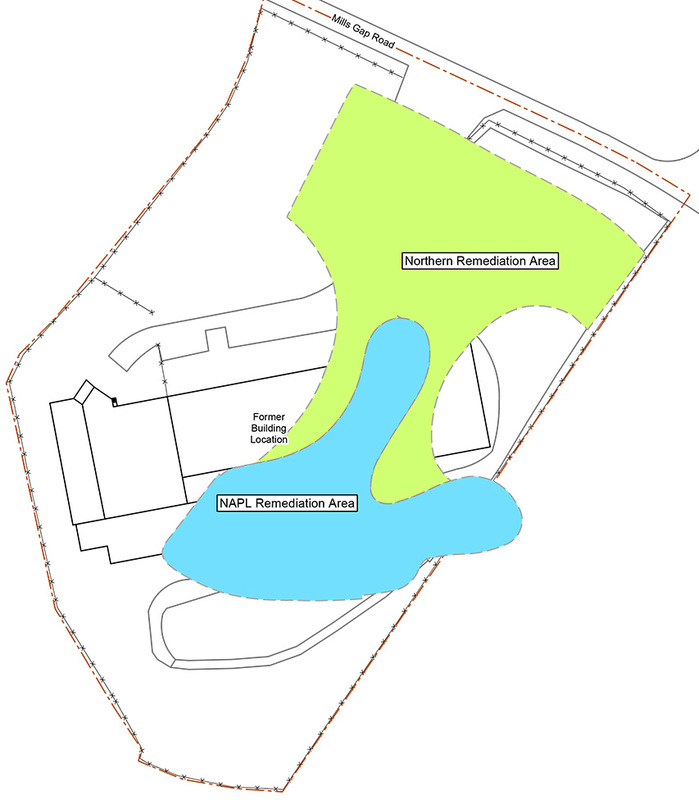 This treatment method will be implemented on the 1.9 acre Northern Treatment Area.